Do you have old or broken TVs, Monitors, Computers, or other unused electronics just sitting in the closet gathering dust? Why not recycle? 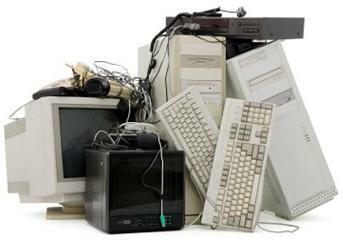 The Electronic Waste Recovery Center in Modesto is here to take them off your hands, and get them away from landfill. We’ll even pay for some devices. Visit us at 1219 Kansas Ave in Modesto, California for details, or call us at (209) 523-2336. We specialize in business clients, picking up electronic waste as well as worn-out batteries and light bulbs. Call us today to discuss these services, or contact us via the forms found elsewhere on this site.